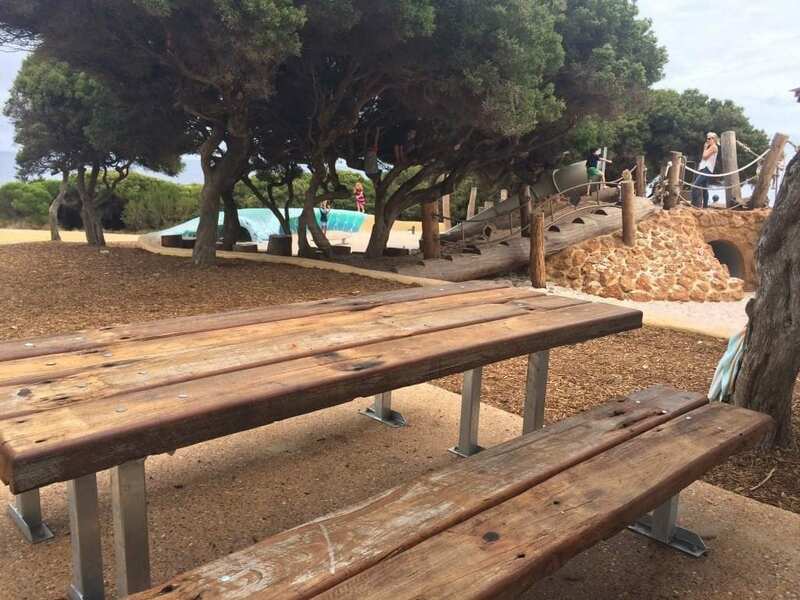 The playground overlooking the surf break at Yallingup has to be one of the very best kids’ playgrounds in the whole of the Margaret River region. 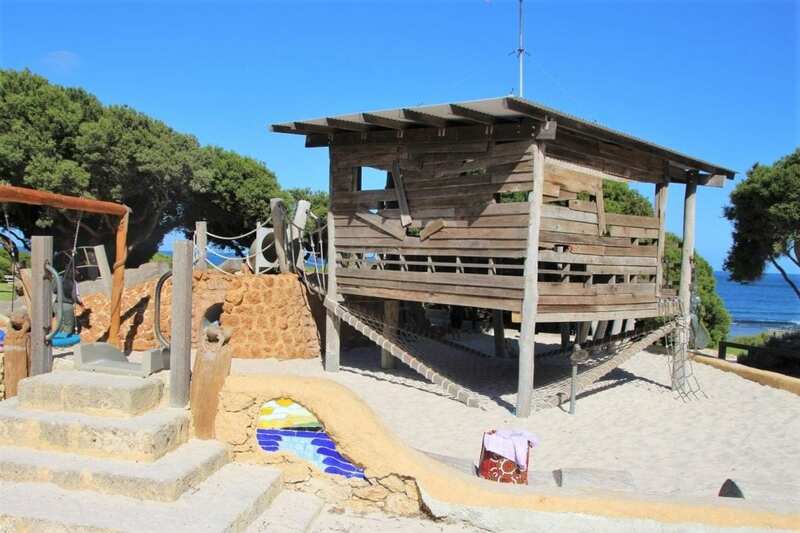 Found at Yallingup Foreshore, the main feature of the park is the huge lookout/surf shack, which has a rope net underneath, fantastic for little climbers! 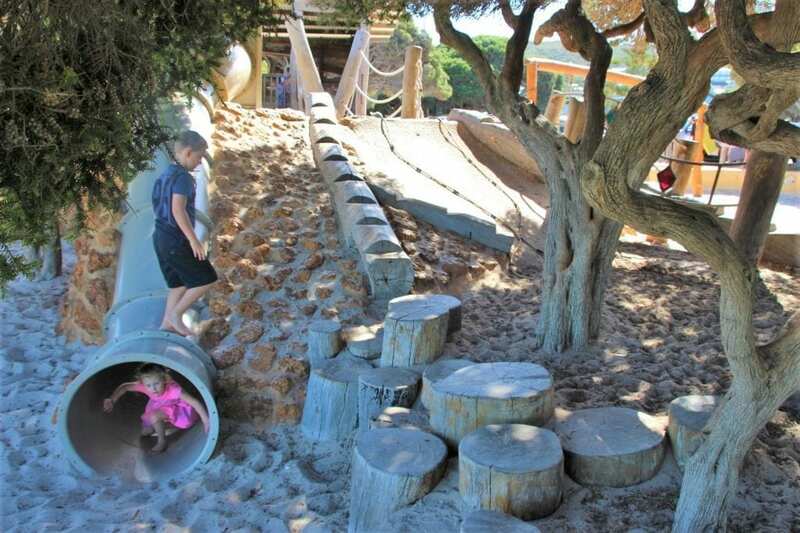 Children can enter the sand-fall play area on this little slide. 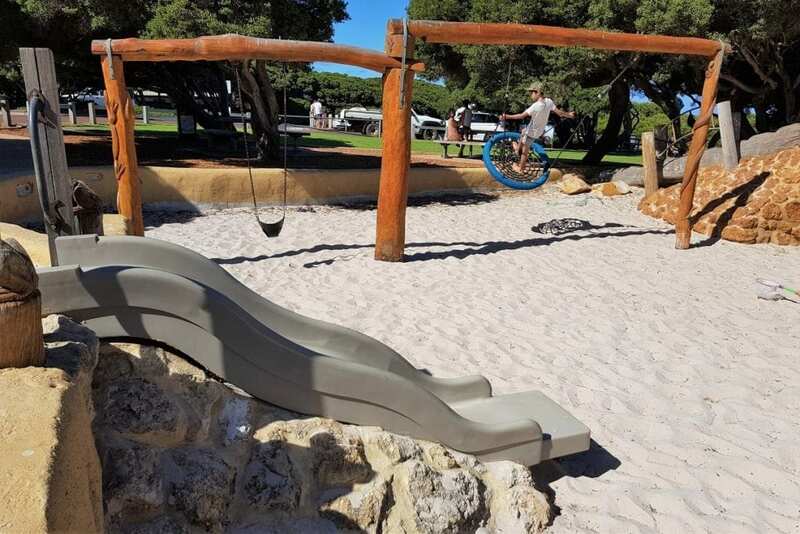 There’s a lot of high climbing based equipment, making the playground more suited to kids aged 4 and over, though there are also two swings – a baby swing and a flat basket swing. 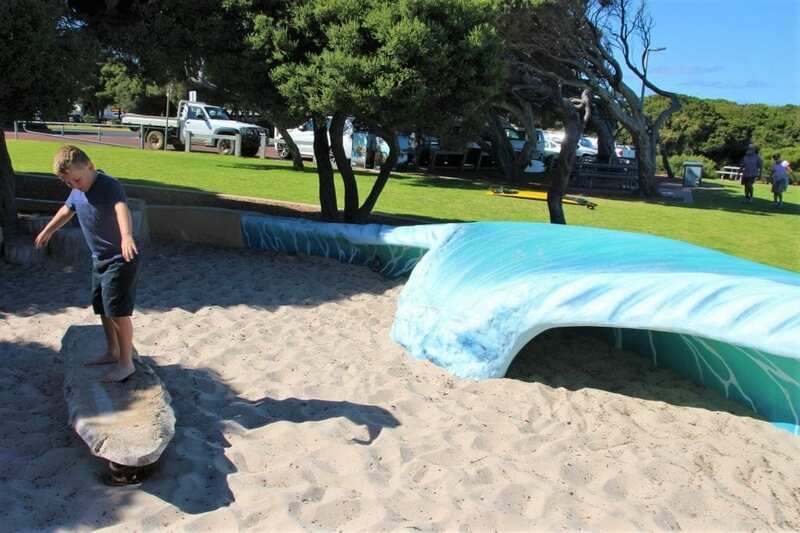 And it’s wouldn’t be a surfers playground without a huge blue wave structure to crawl under or stand on and wobbly, wooden surf board for the kids to play at surfing. 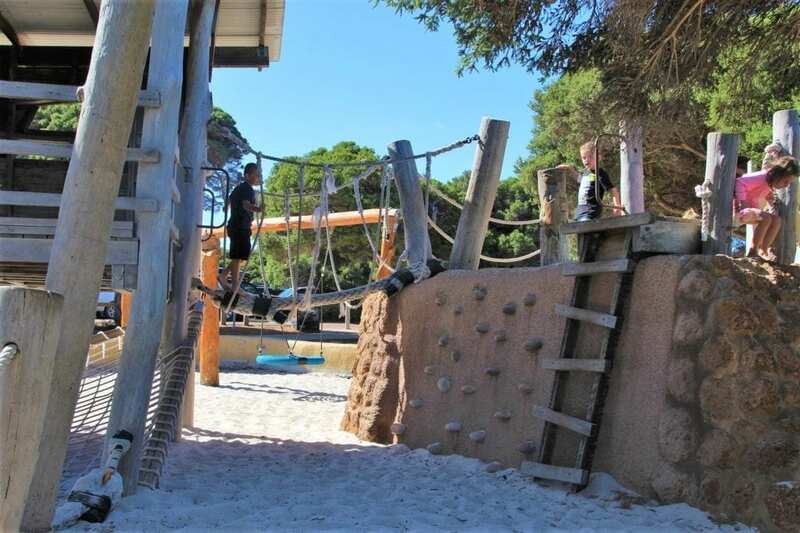 From the lookout, kids can negotiate the rope bridge onto the rocky structure which includes a climbing wall with foot holes, stone steps and a wooden ladder. There are plenty of areas to explore within the playground including the great climbing trees, a tunnel and there are loads of logs to balance on. Off the main rock structure, is a long tube slide which runs down into the main sand pit area. It’s fun (and I can vouch for that myself! ), it’s the easiest way to get down from the lookout. 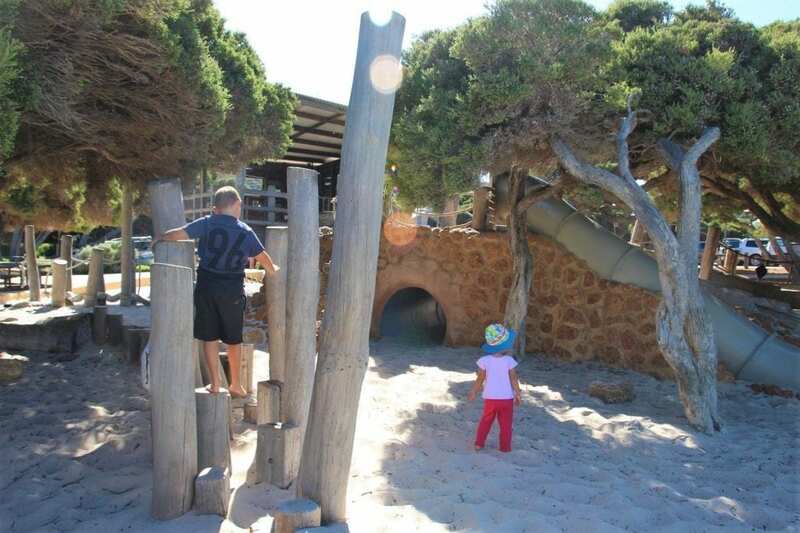 Depending on which time you visit, there may not be a lot of shade, though the trees do provide some cover from the sun, especially in the sandy beach-side area of the playground, making it great for toddlers to have a dig in the shade. 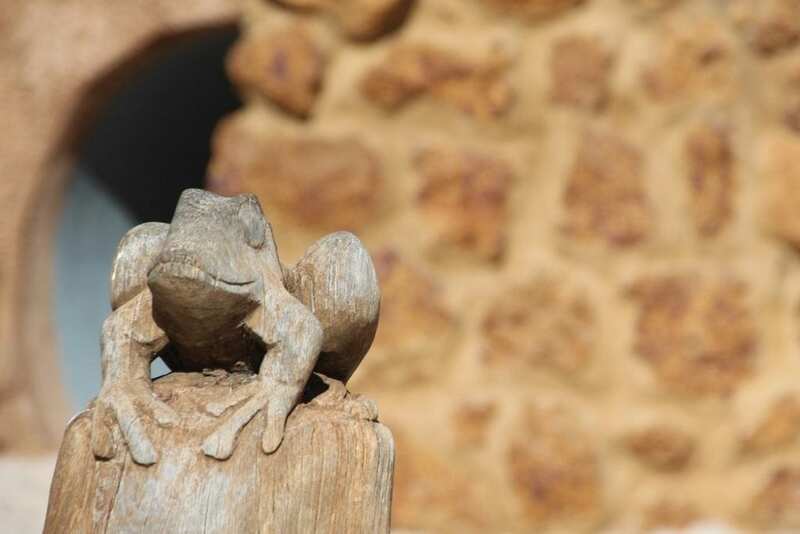 Can you spot the carved frogs? The playground is surrounded by tree-lined grassed areas with picnic tables. 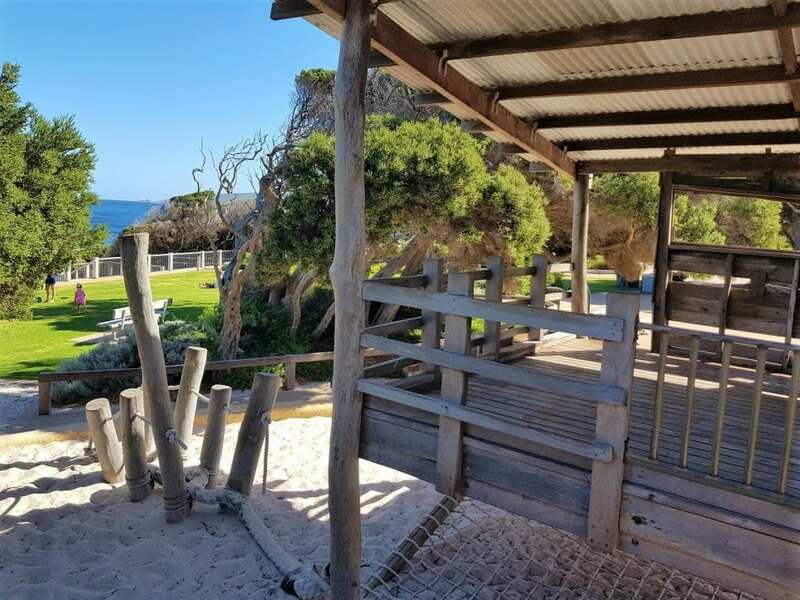 It’s a great spot to spend a few hours lazing on the lawn, taking in the ocean views, whilst the kids enjoy some physically challenging play to wear them out. 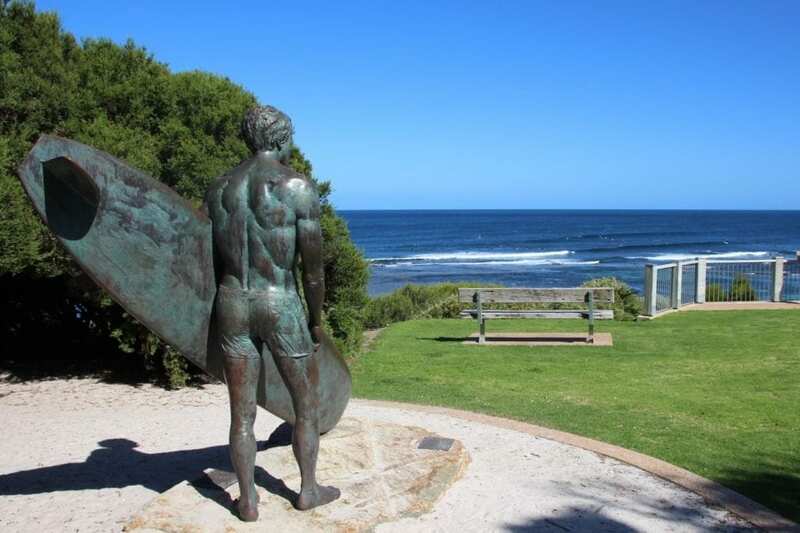 Yallingup is a mecca for Surfers, making parking very busy around peak surfing times. There are toilets and showers in the park, as well as water fountains. Nearby you’ll find a surf shop and a cafe where you can grab take away coffees. 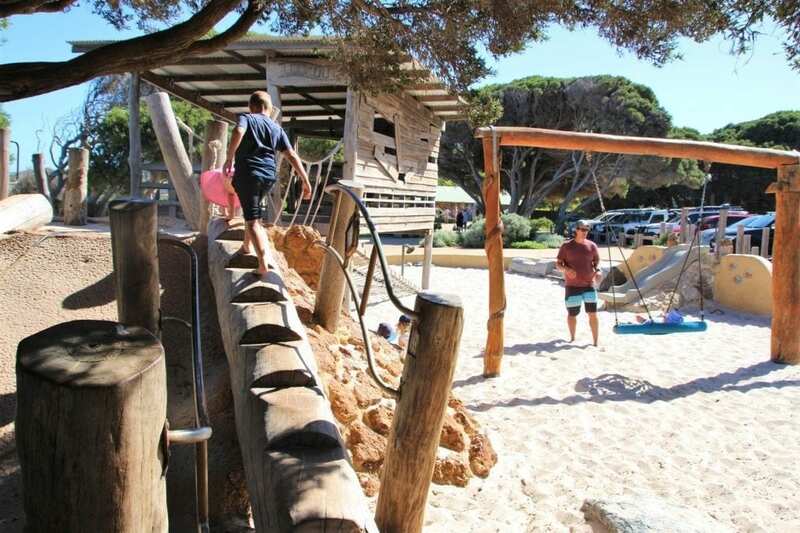 You can find Yallingup Playground at the end of Yallingup Beach Road, Yallingup. Find more family-friendly things to do in the Marget River region here.